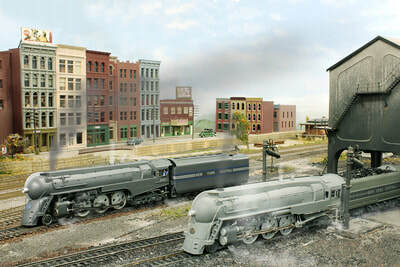 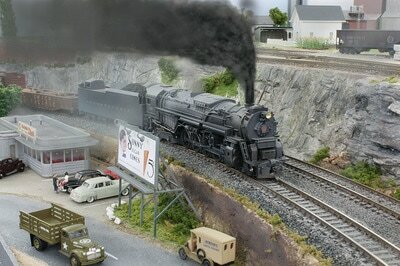 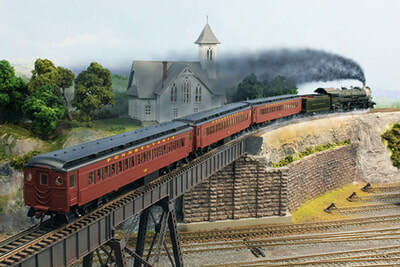 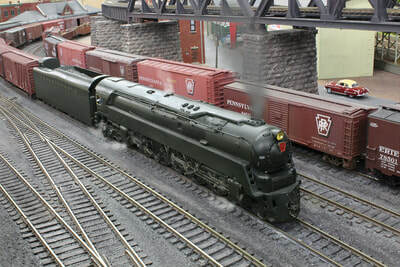 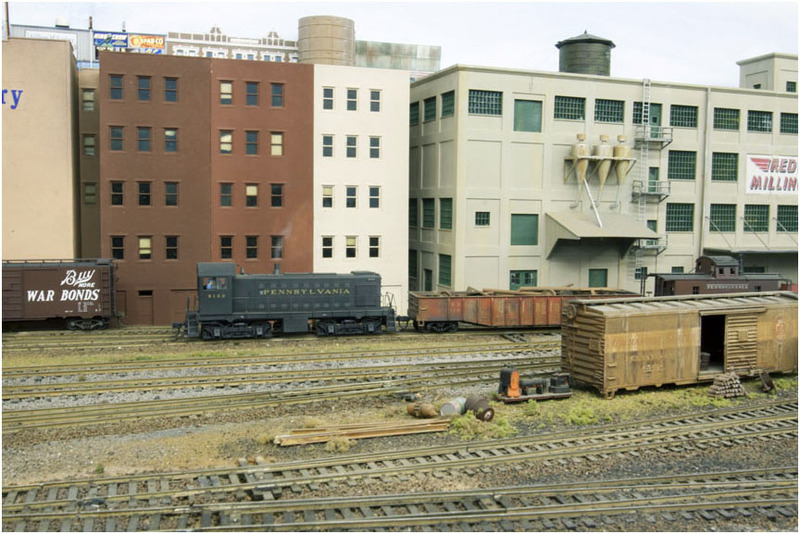 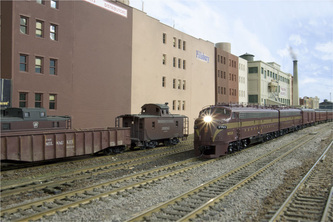 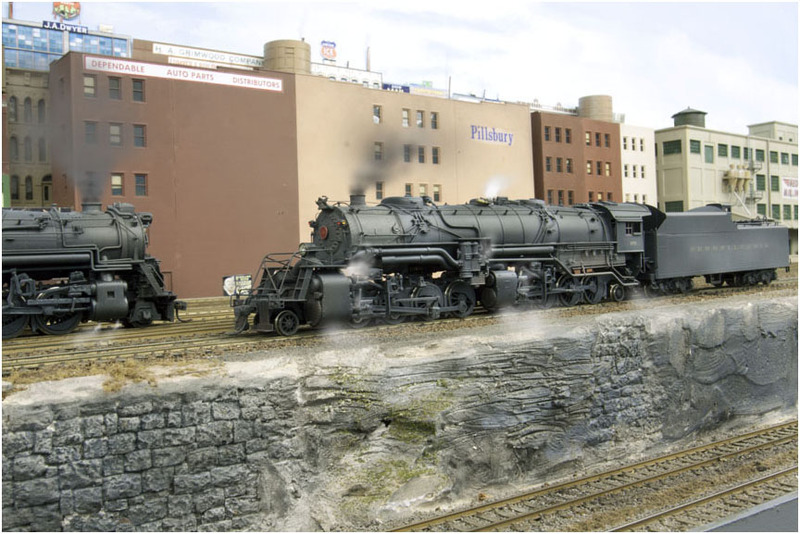 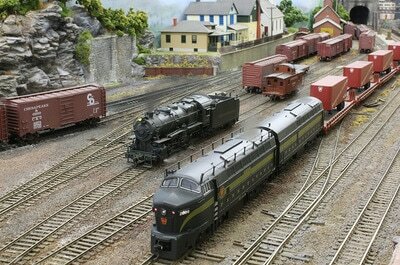 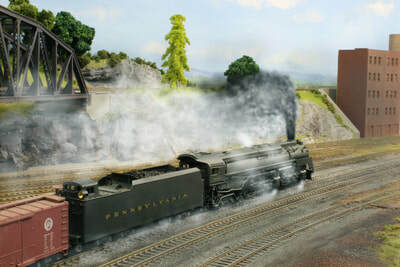 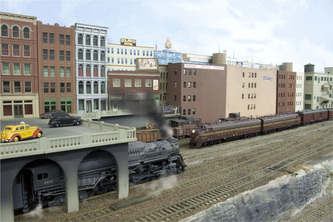 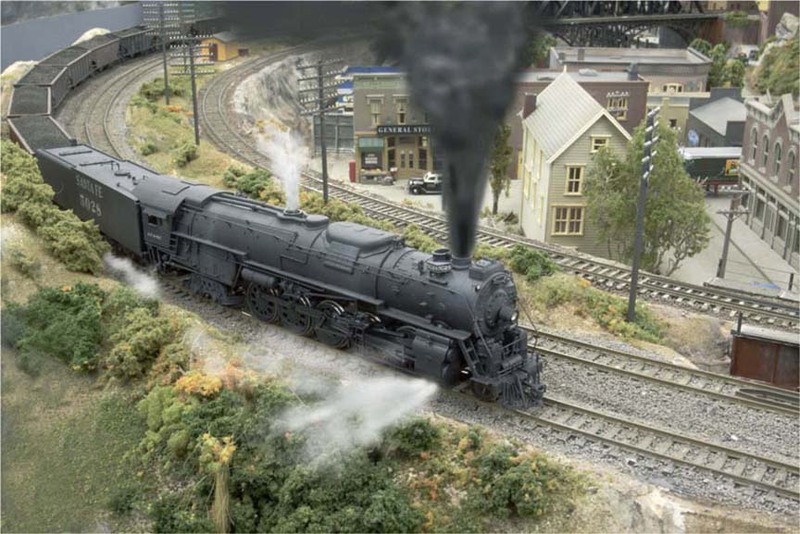 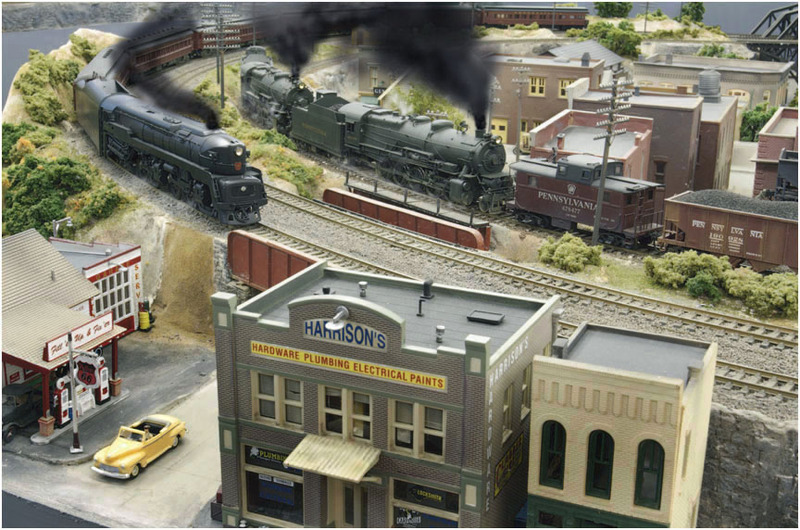 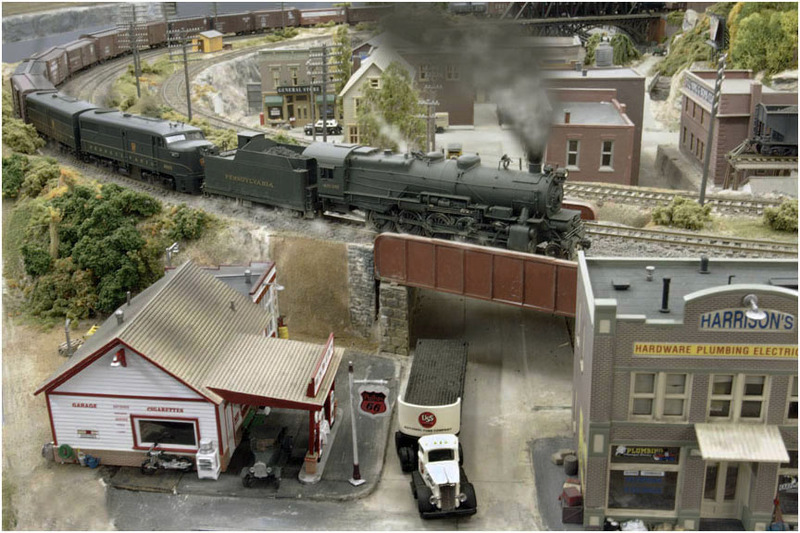 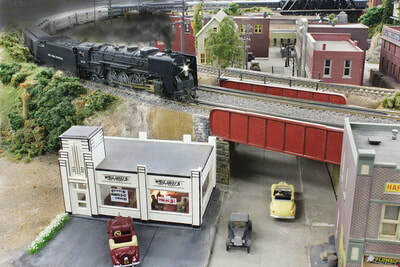 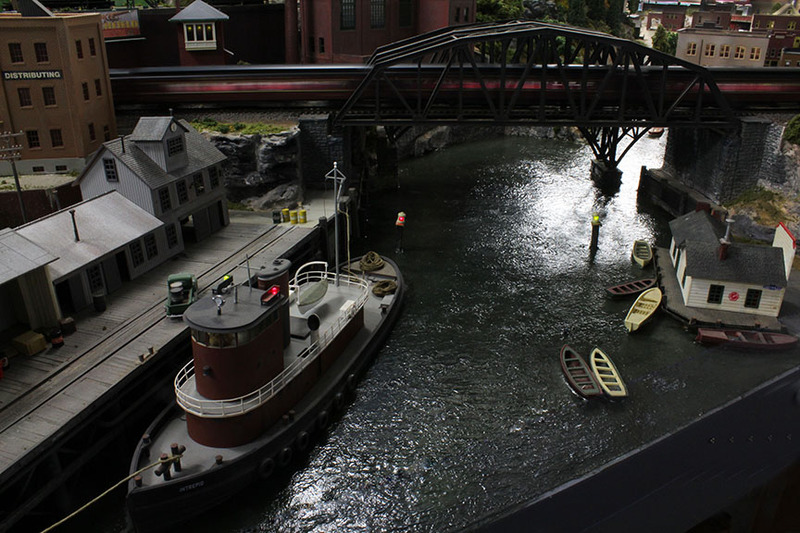 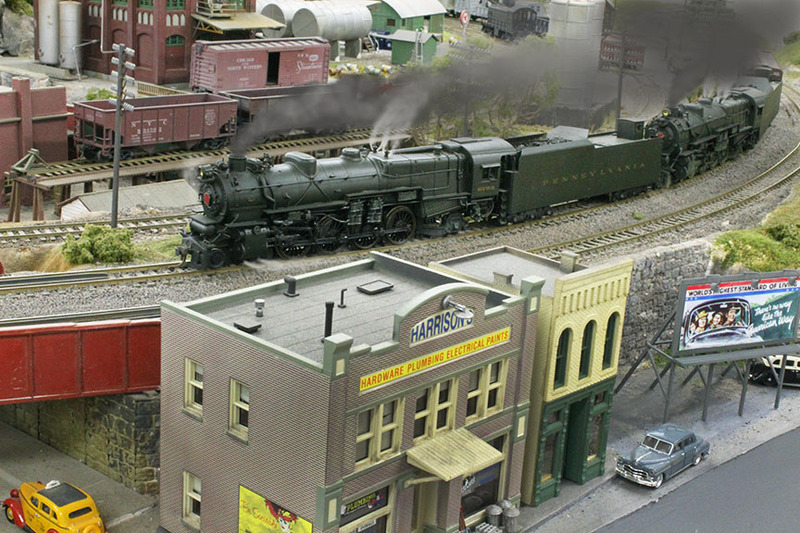 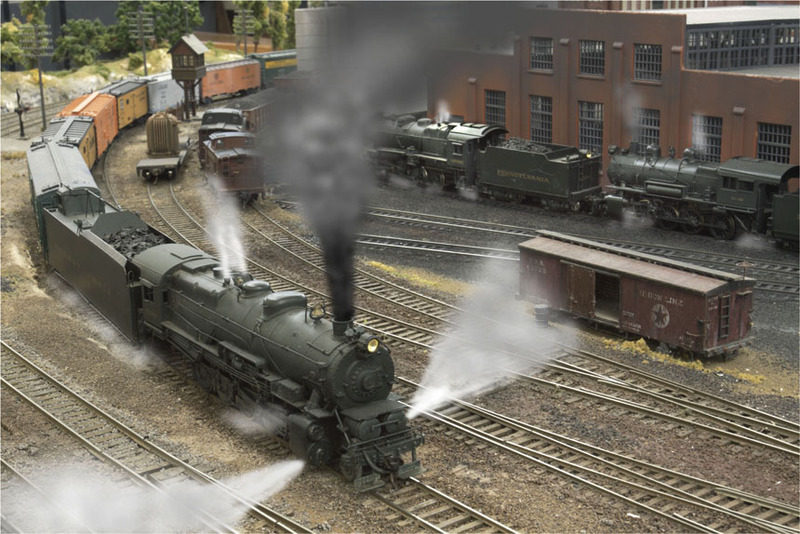 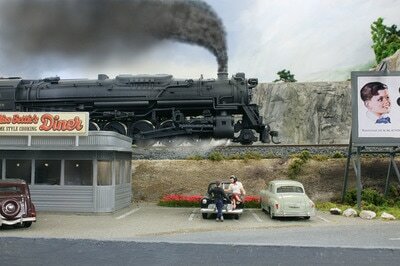 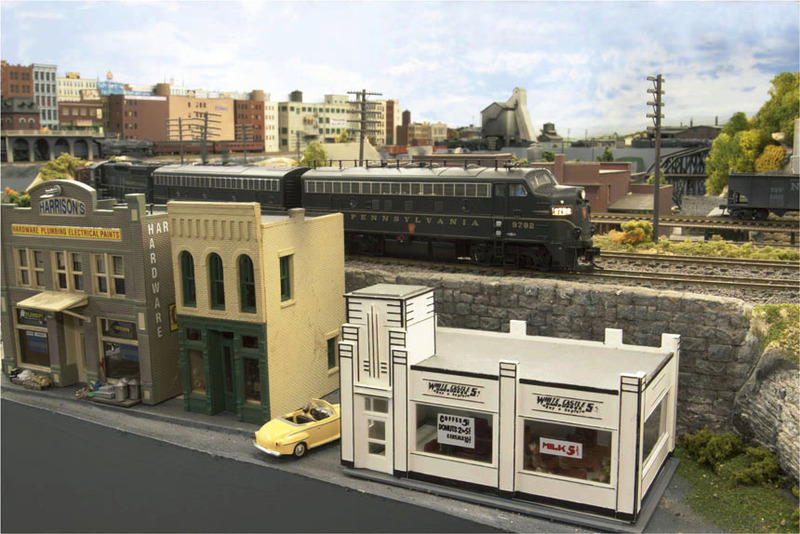 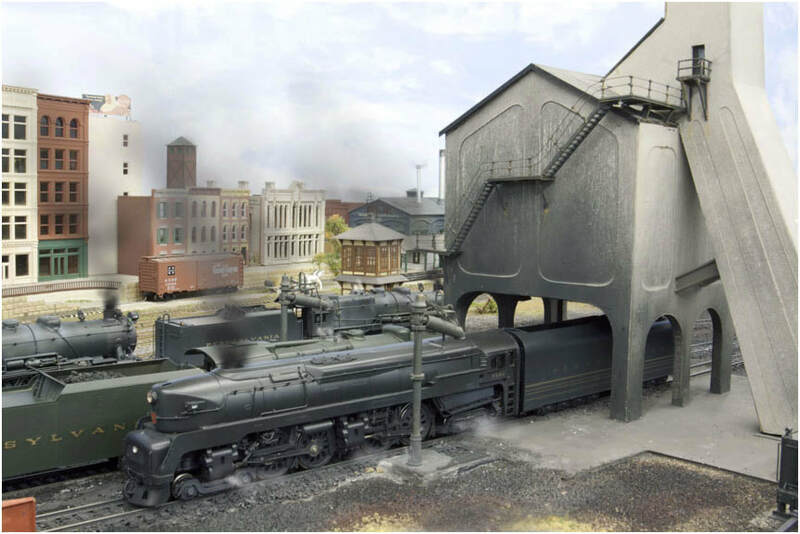 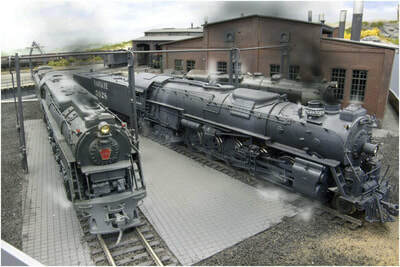 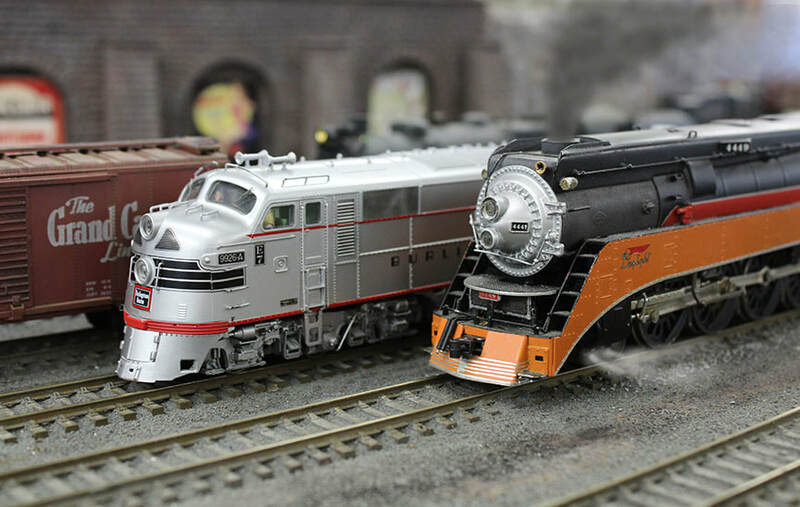 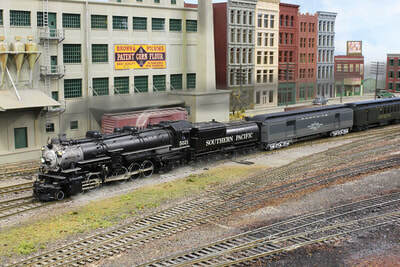 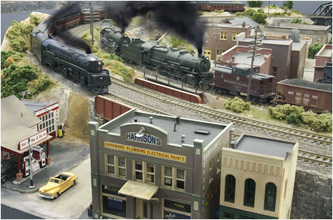 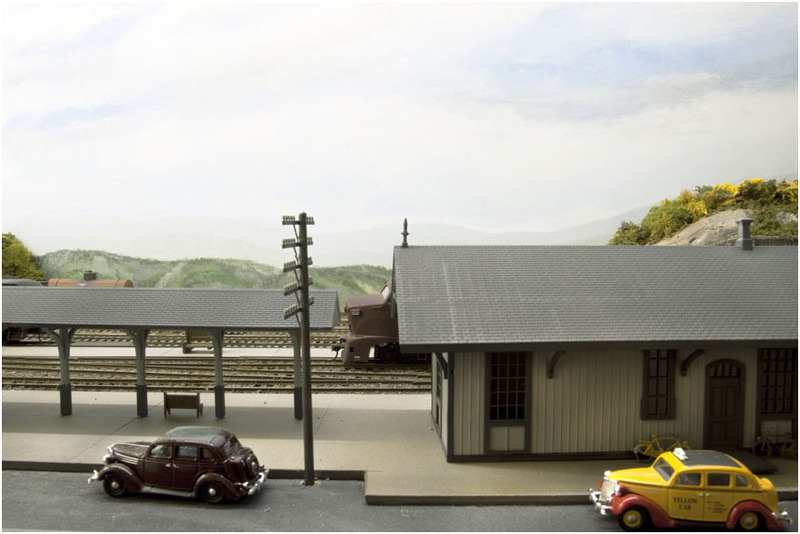 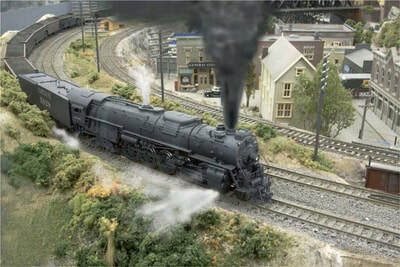 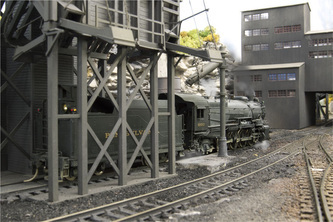 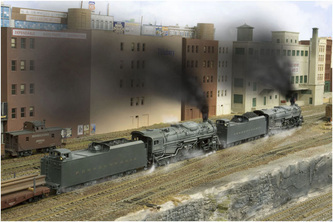 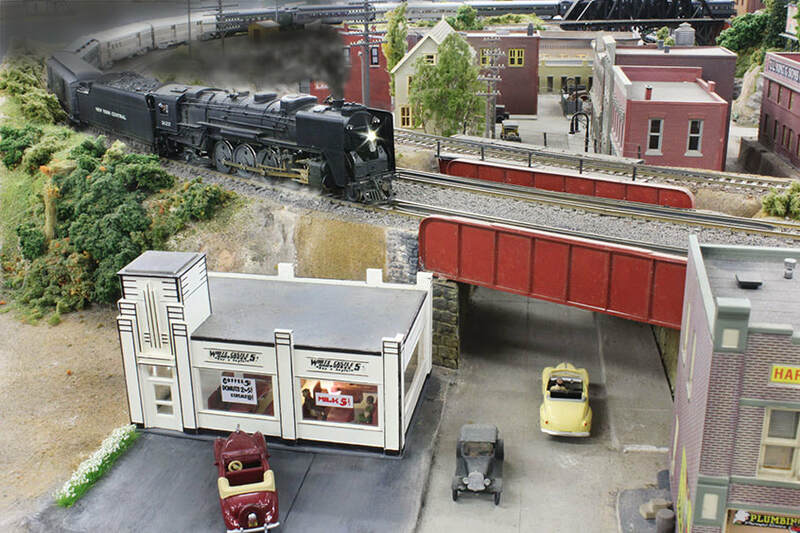 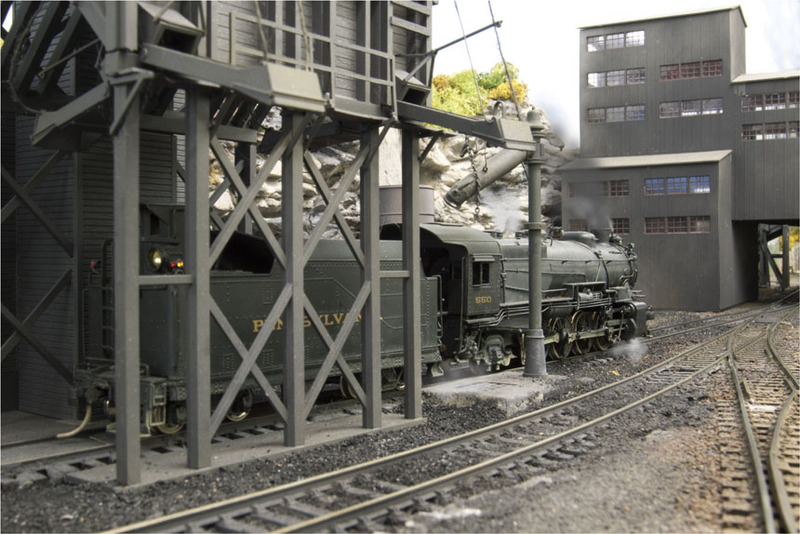 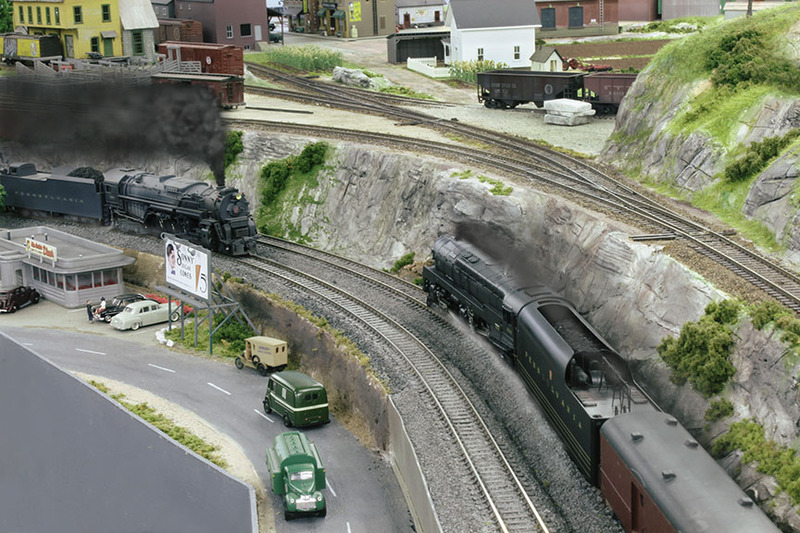 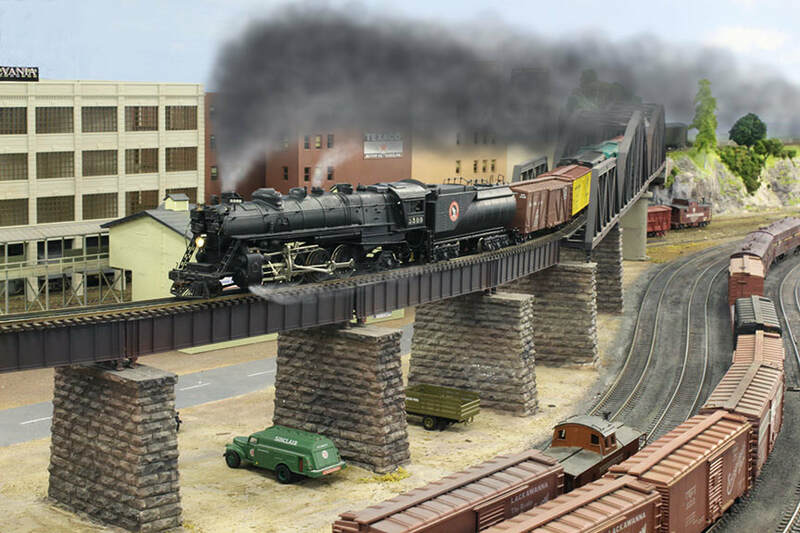 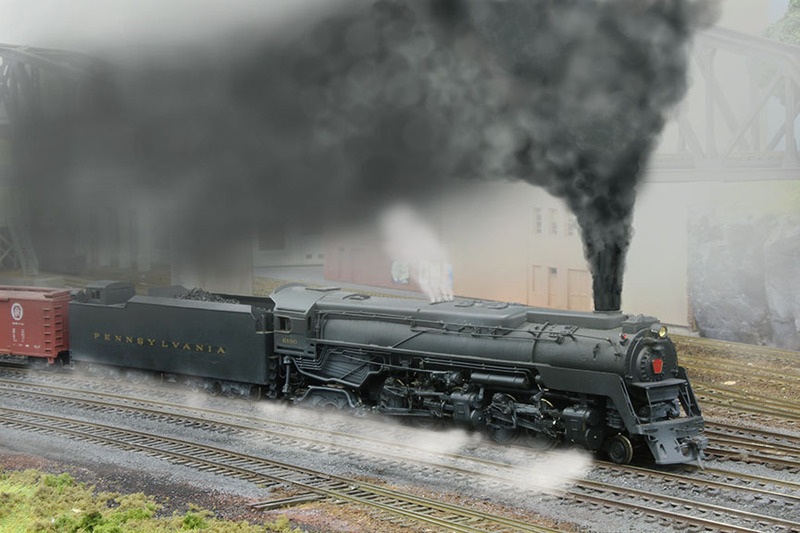 The Loewy division of the Pennsylvania Railroad is a HO model railroad that is positioned in the transition era. 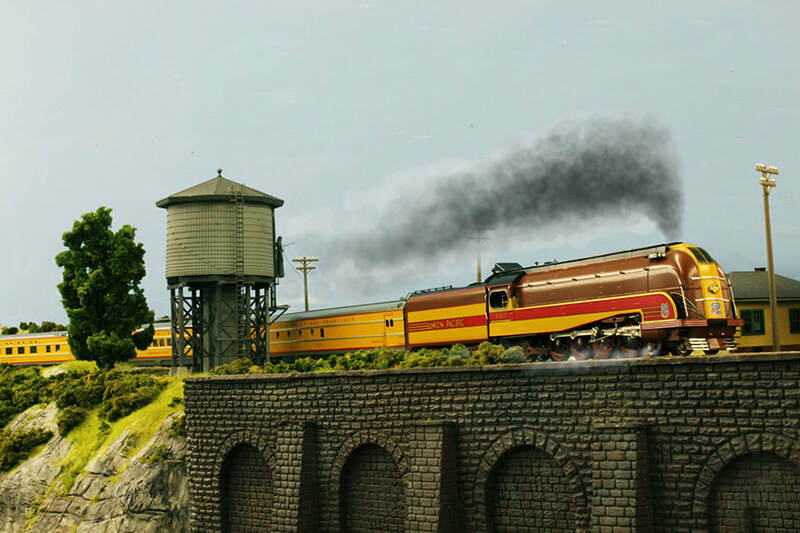 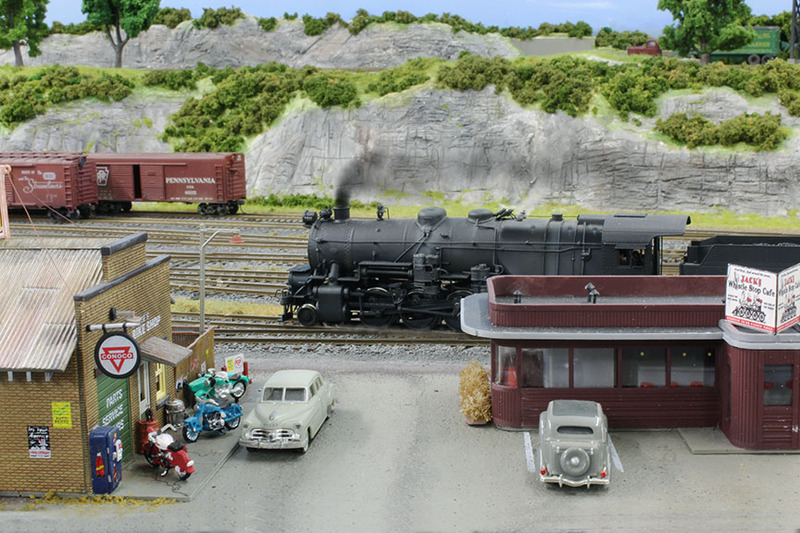 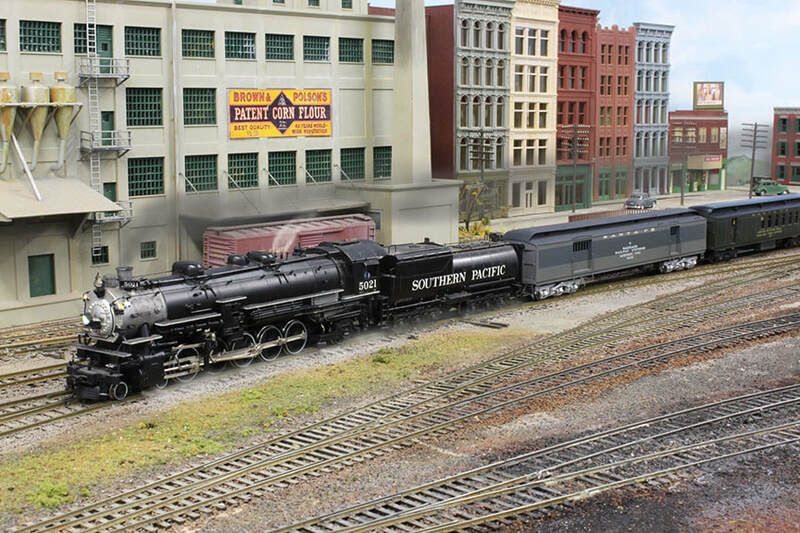 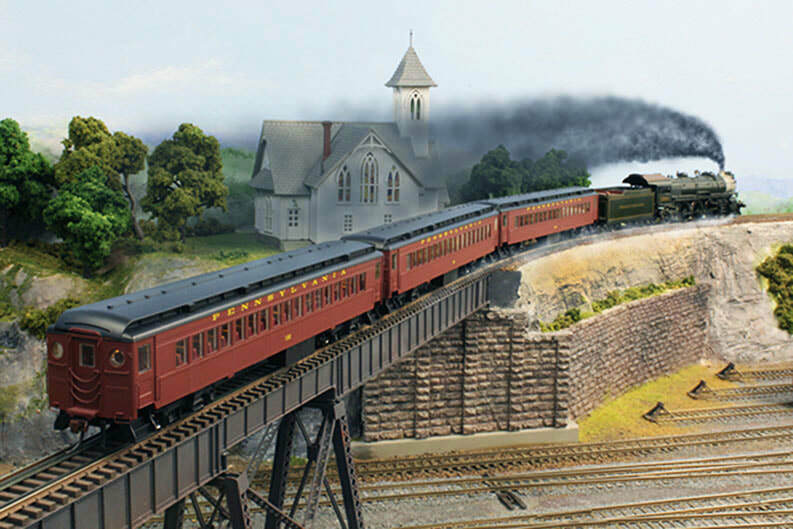 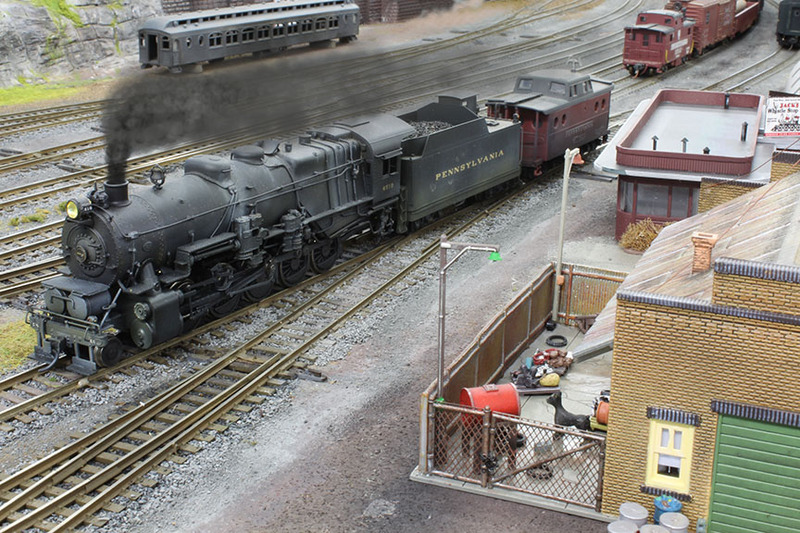 The layout isn't intended to be an uncompromisingly accurate representation of the Pennsylvania railroad; I'm simply trying to capture the character of it. 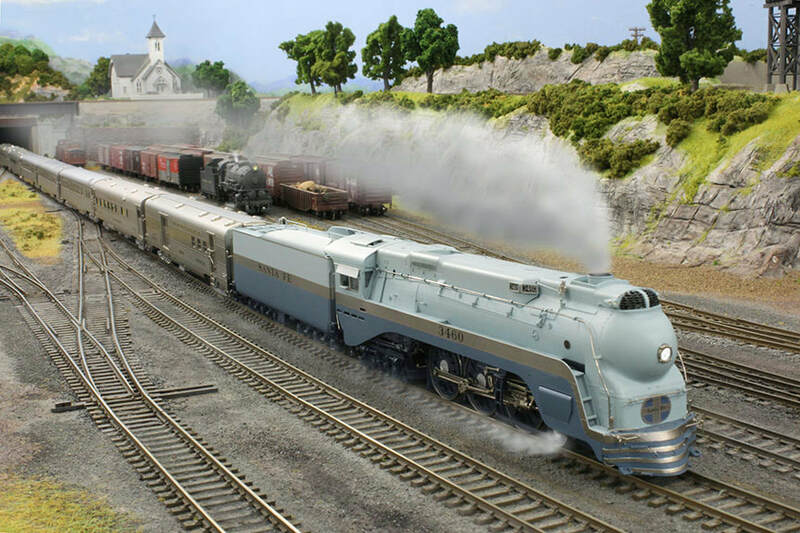 *Raymond Loewy was the industrial designer responsible for the PRR streamlined designs. 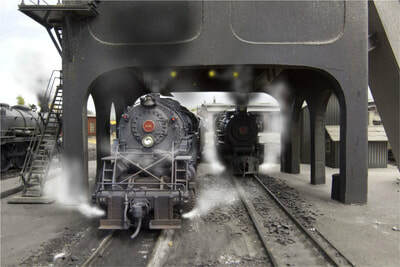 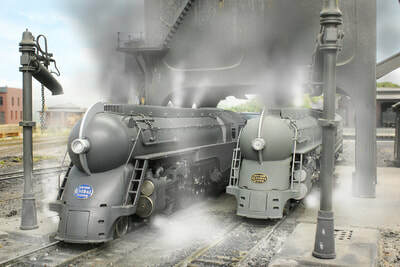 To see my images of real trains click on the button. 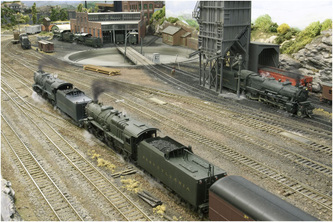 In 2013 an extension doubled the area of the layout. 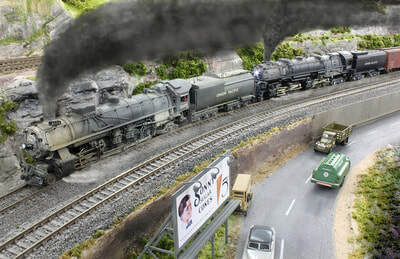 After 3 years the layout is fully operational and the scenery completed. Quite recently a fellow NMRA member rebuilt the two gearboxes in my brass PRR Q1 duplex. 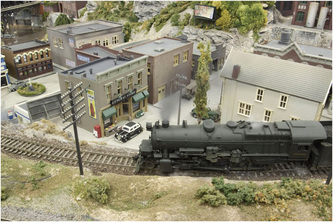 In the almost 30 year history of the layout this is the only component of the layout done by another person. 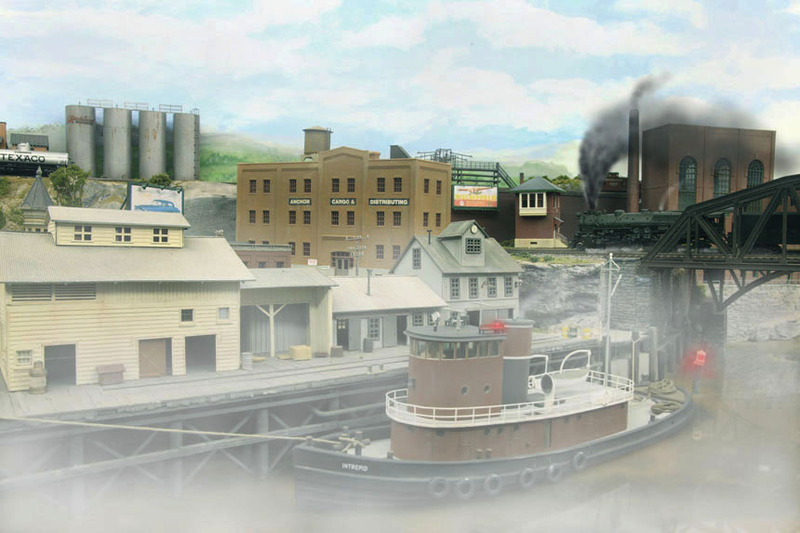 It wasn’t necessarily my aim to do everything myself, it just turned out that way. The layout 'updates page' documents the building of the extension, it also contains photographs showing the entire layout, historical images, information about what's happening on the layout and a link to the articles I've written for the NMRA Division 1 newsletter. 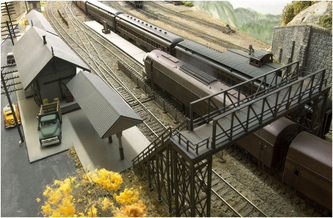 The images in this gallery are contemporary and show both the new extension and the upgraded original layout. 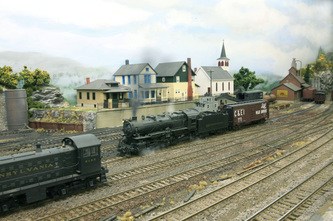 The Brimstone and Eastern Railroad was built in 1881 to serve an expanding agricultural area, it connected with the Pennsylvania Railroad at Mt Loewy. 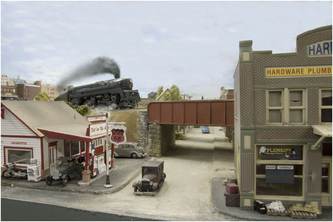 Originally the line only went as far as Wallistown and struggled to be profitable, eventually in 1904 it was acquired by the PRR and a decision was made to extend it. A new terminus was established and named West Ely after the PRR executive in charge of steam locomotive power development Theodore N. Ely. 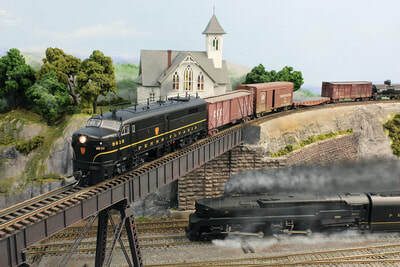 Under PRR management it became a profitable rural branch line with traffic intensity reflecting the seasons, there was also a daily passenger train. 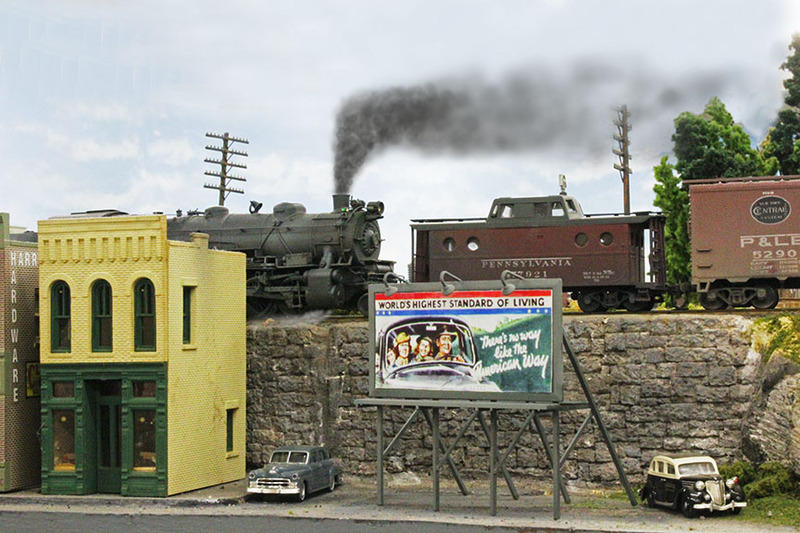 However the traffic on this branch would change dramatically in 1936 when the Etna power station was constructed 20 miles from West Ely. The power station was required because a large number of military factories were being built in the area, including a particularly expansive aircraft factory. 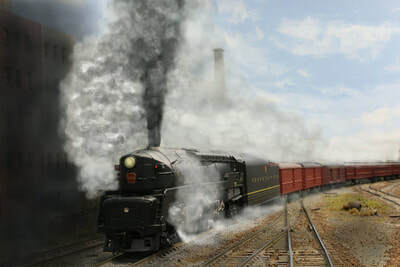 To supply Etna with coal a 20 mile extension of the West Ely branch would be required and as heavy coal trains would be using the existing line some major upgrading would also be required. 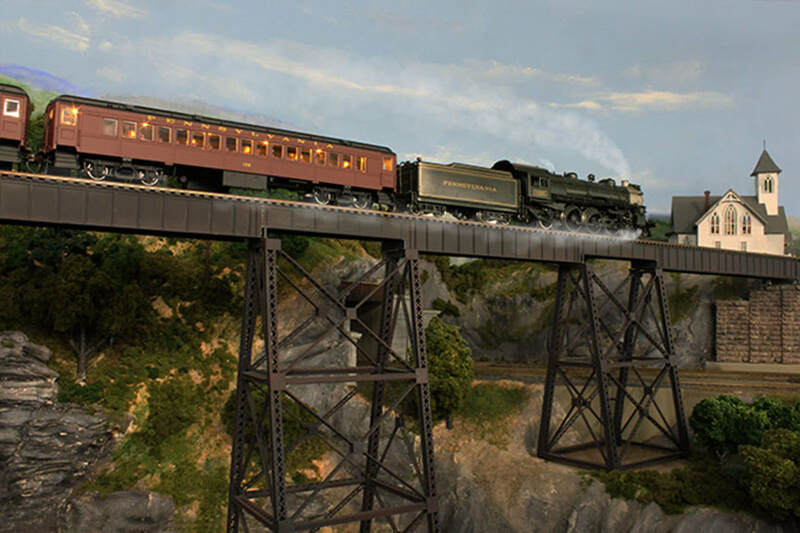 As well as track upgrades the 3rd. 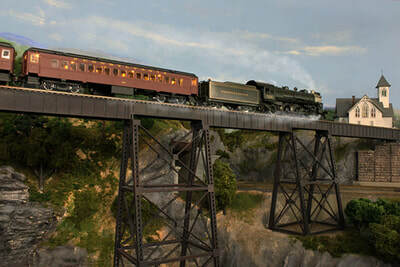 street viaduct would need strengthening and a new steel bridge (the Merrick viaduct), would replace the existing wooden trestle. The West Ely turntable would be extended so that the helper locomotives, often with ‘coast to coast’ tenders that had assisted the trains as far as West Ely could be turned and sent back to Mount Loewy. 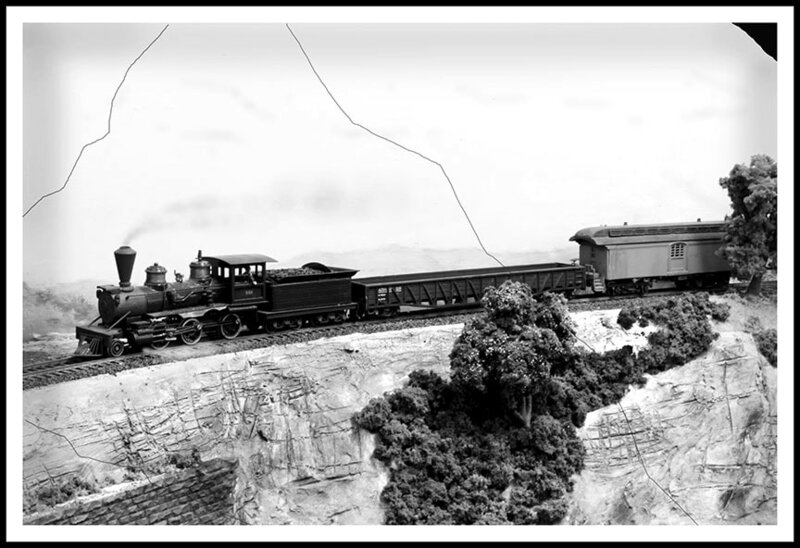 During World War 2 the line was heavily trafficked with at least five loaded coal trains a day working hard on the demanding grades, of course those trains would then return empty to Mount Loewy where they would change locos. before traveling on to the coal mines to be reloaded. 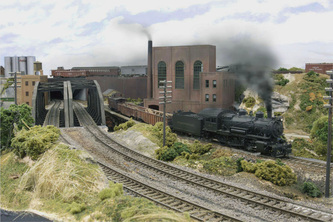 At the end of the War the Etna power station was decommissioned and the track from West Ely dismantled; West Ely returned to its quiet existence but of course retains a turntable capable of turning the largest locomotives. 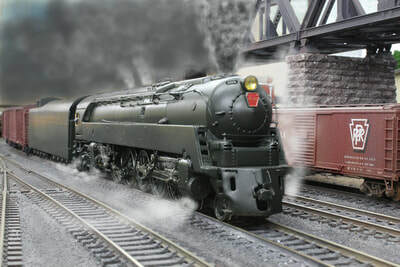 The highly respected rail photographer Jack Daguerre was a frequent visitor to the West Ely branch during the 1940’s; Jack was an early convert to large format colour film and his stunning colour images capture the drama and spectacle of coal operations on the line. 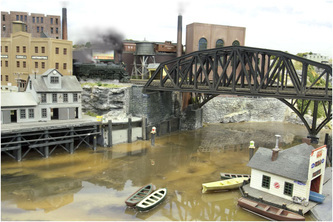 In 1944 he decided to document the less dramatic section from West Ely to the power station. While photographing the rail operations at the power station he was detained by the military police and was subsequently handed over to the FBI. 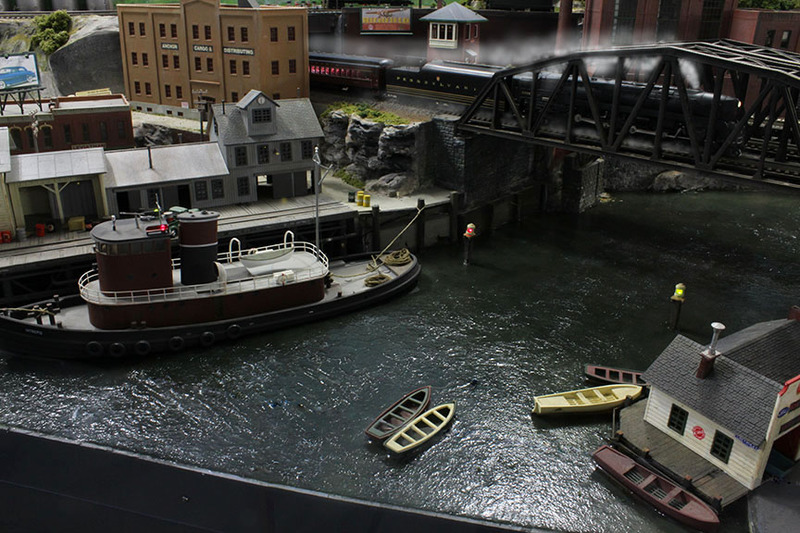 They detained him as a suspected spy or saboteur. 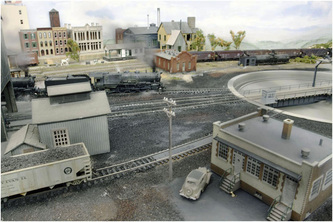 After two days of interrogation he was released and his photographic equipment returned, but the FBI retained his film. 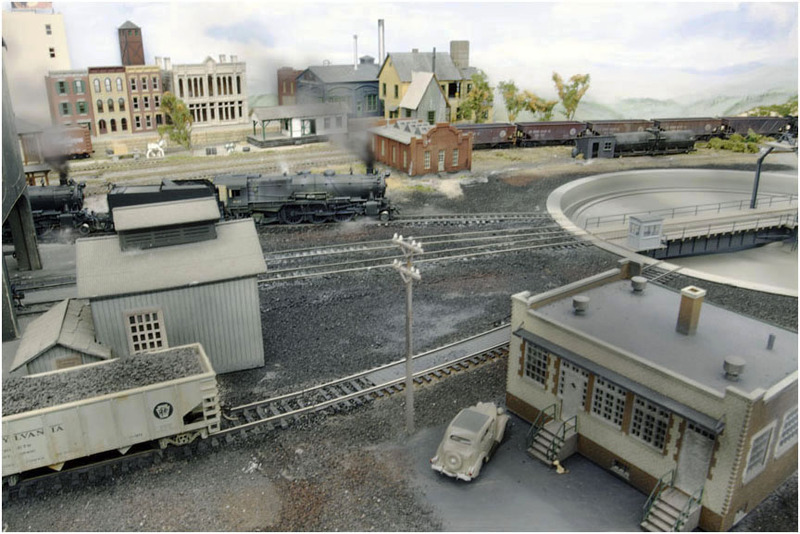 Jack was informed that should he be found in the area again he would be charged and end up in the Federal penitentiary at Leavenworth. 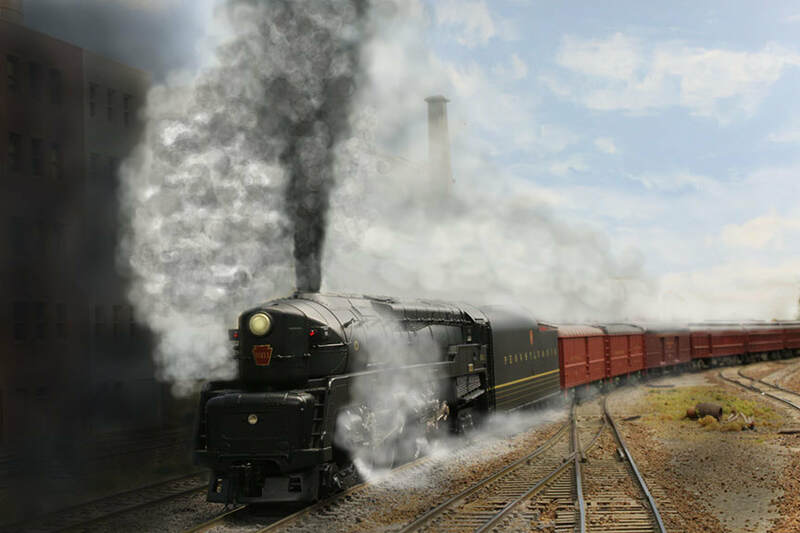 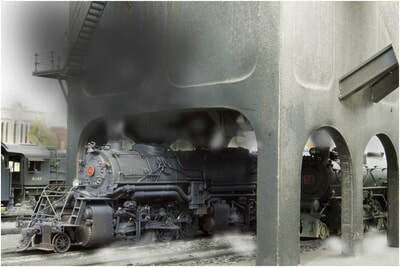 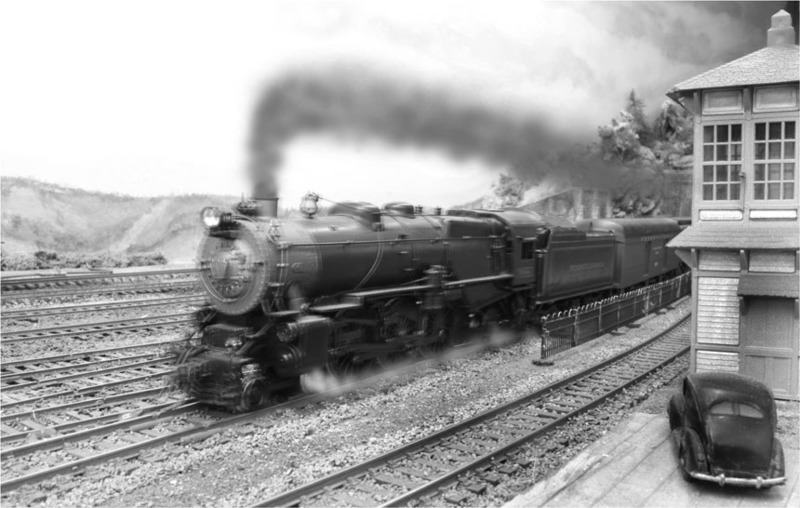 Jack decided to photograph the steam operations of the Ferrocarriles Nacionales Mexicanos south of the border. 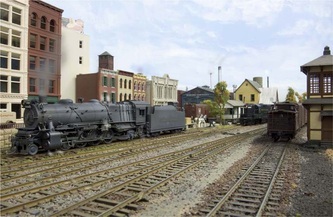 The film still resides in the FBI archive and consequently there are no known photographs of trains operating on the western end of the line. 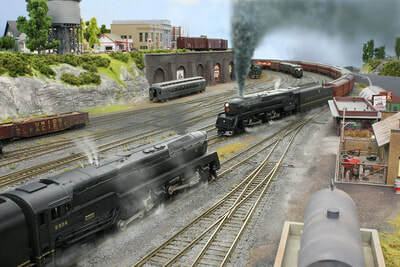 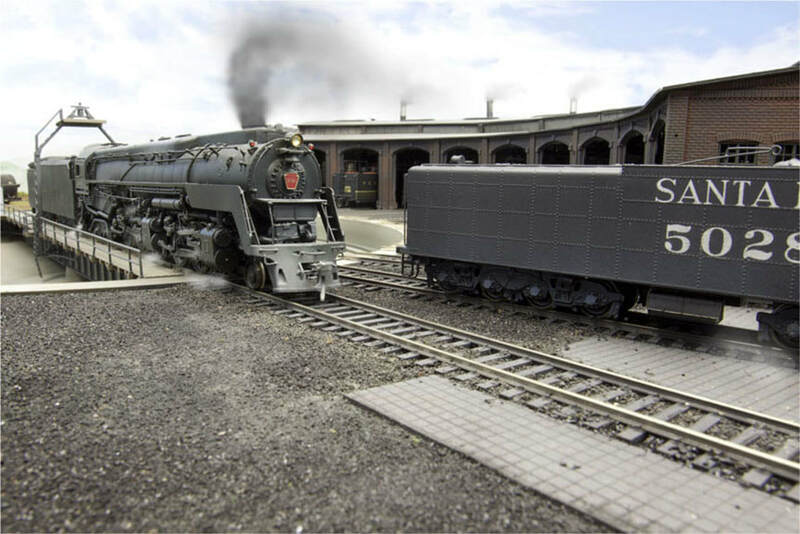 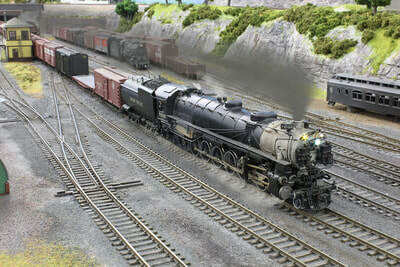 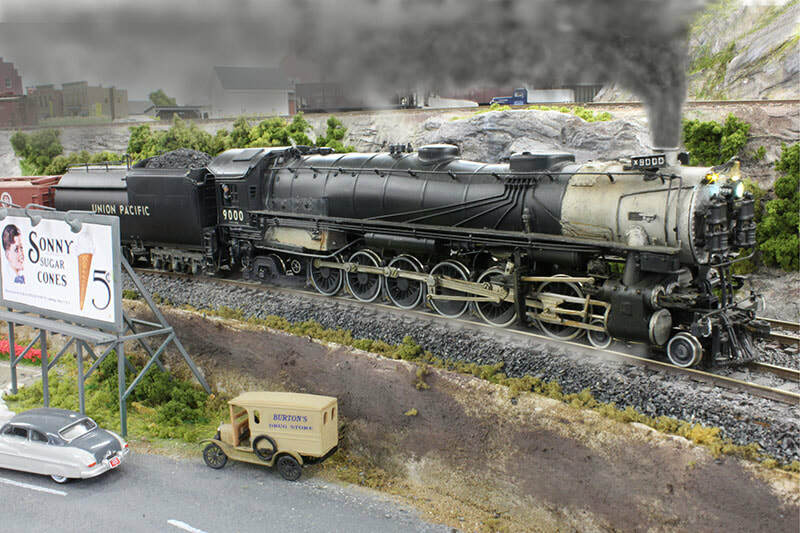 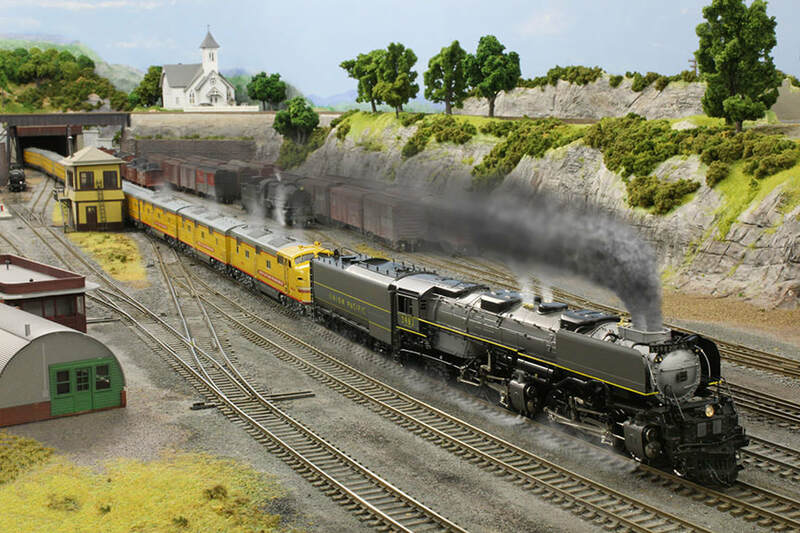 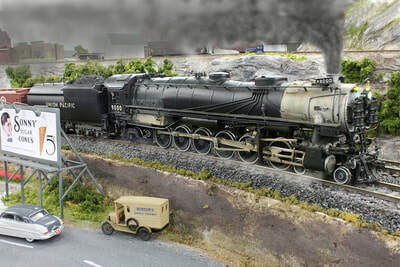 I really enjoy it when fellow modellers bring their trains to run, the layout has become popular because its large radius curves can accommodate models of the largest prototypes. There have been magnificent locomotives, passenger trains and freight cars representing the UP, SP, NYC, L&N, Santa Fe, DM&IR, GN, CB&Q, PRR (the S2 Turbine and Baldwin Centipedes), and a OO Flying Scotsman. 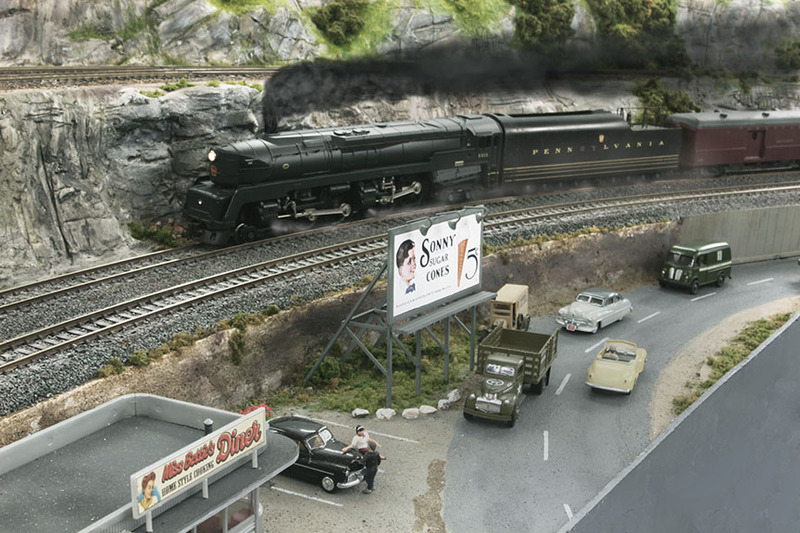 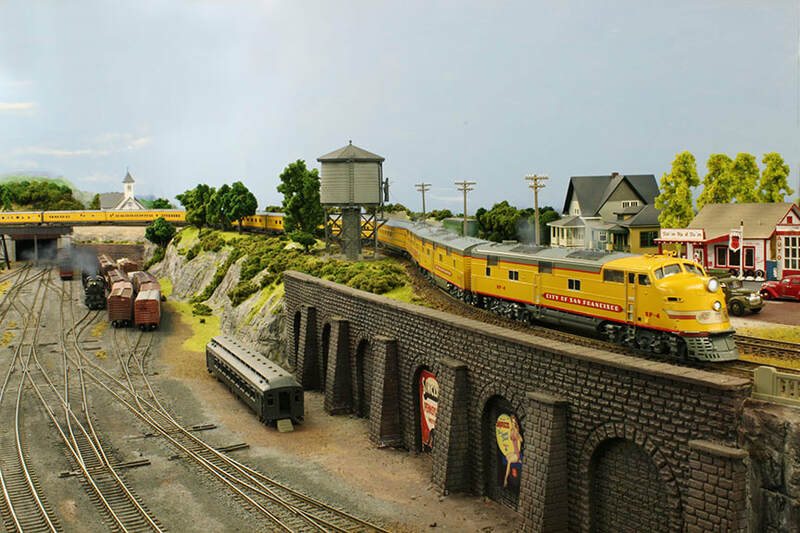 The scenes in these images have been radically altered or no longer exist and some locomotives and rolling stock have been retired or replaced with newer models. However the images show the evolution of the layout and document its history.